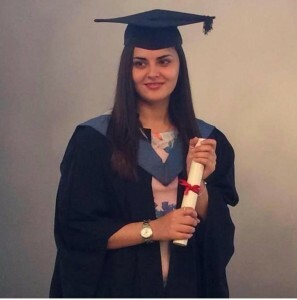 St Helenian student Leonie Ellick of Half Tree Hollow graduated from Bath Spa University with a Second Upper Class Degree in Business and Management, with a Pathway to Marketing. Leonie’s course spanned over three years, during which she covered modules including Business Environment, Economics, Managing Data, Marketing, Accounting, Creativity, Innovation in the Workplace and Destination Management. As part of her degree, Leonie undertook a placement at Bath Tourism Plus, where she assisted with the arrangement and management of the Bath Christmas Market. On completion of this placement, Leonie chose to focus on the impacts that events have on destinations, using the Bath Christmas Market in her Dissertation. “I have really enjoyed the course and the opportunities that studying in the UK have given me. “Although challenging at times, the reward of attaining a degree makes it all worthwhile and I would encourage anyone who would like to study in the UK to not hold back. I have learnt a great deal, had the opportunity to travel and met many different people through my course. Leonie left St Helena in 2012 for her university studies. After obtaining her qualifications she is now gaining valuable experience through working in the UK – which she hopes to bring back to the Island in the future.